HARLINGEN ~ NAZ-Yachts began building sturdy sailing and motoryachts in 2003. That has not gone unnoticed. 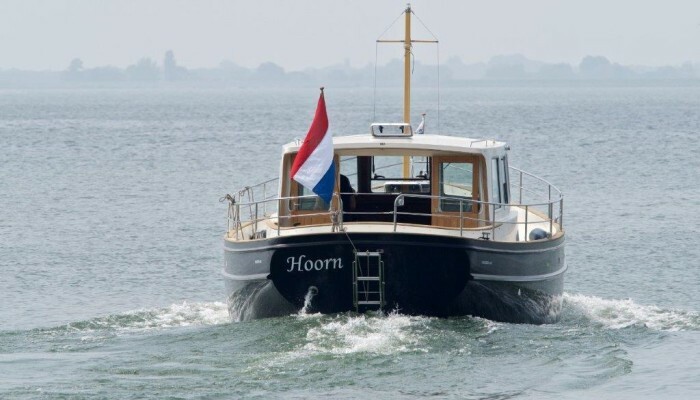 By now, NAZ-Yachts owner Michael de Zeeuw has sold some 90 yachts and he continues to extend his portfolio. 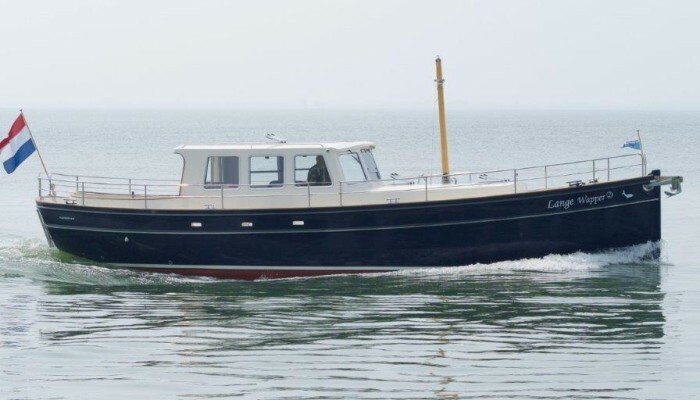 His latest addition is the polyester Wanderer-40 motoryacht. 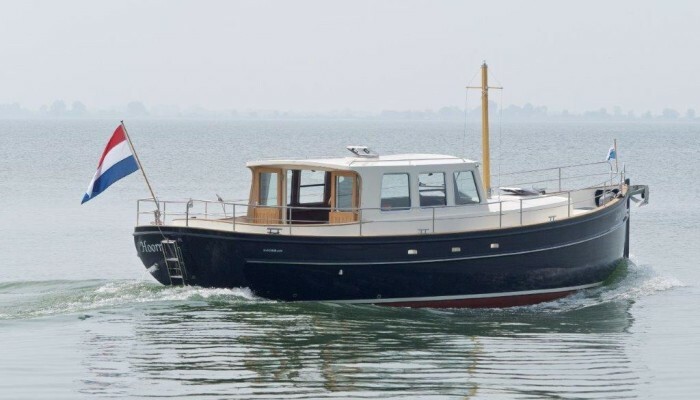 NAZ-Yachts markets North-Cape (22 to 34 ft.) and Wanderer (34 to 40 ft.) sail and motor yachts. They come off the boards of Dutch naval architect Martin Bekebrede. The yard also builds other Bekebrede designs in steel. 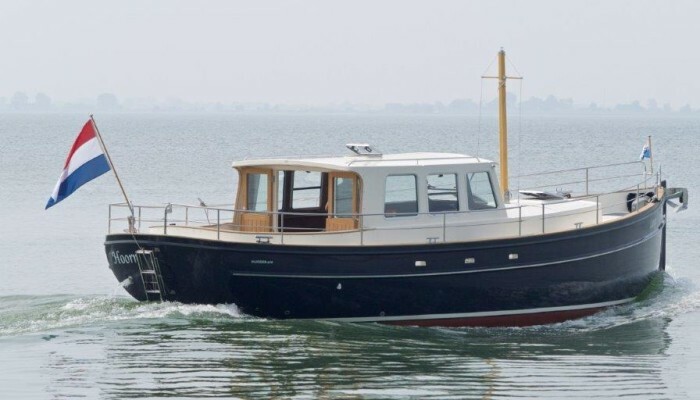 All feature a no-nonsense build, a classical design and good sailing qualities, inland and offshore. All NAZ sailing yachts have retractable centerboards for no-worry grounding in shoaly waters. NAZ-Yachts are built in the company’s own yard near Istanbul, Turkey. 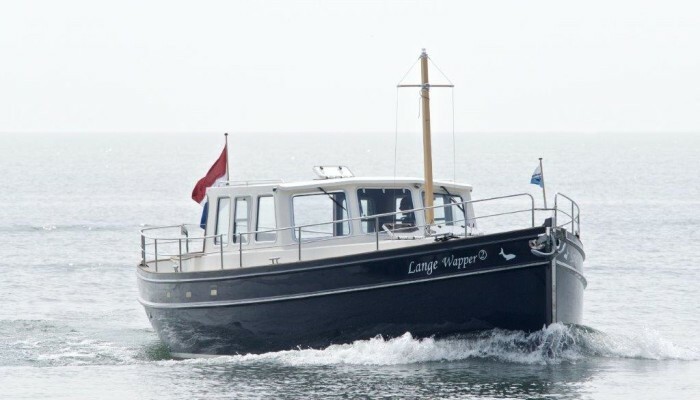 The motor-powered version of the 12.3m Wanderer-40 continues NAZ-Yachts’ successful formula of a comfortable, broad-beam vessel. It is 4.12m wide, has a draft of only 1m and displaces 12.5 tons. It is powered by an 85HP Nanni. The standard version costs €245,000, including VAT. 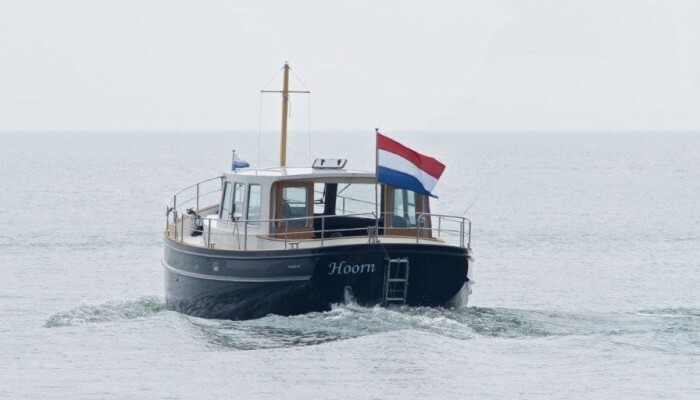 The yacht’s good seagoing qualities come from a hull shape that guarantees a good deal of stability, also in open waters. They can be had with a 2 or 3-cabin interior, a generous engine room, a spacious wheelhouse and a toilet separated from the shower area. 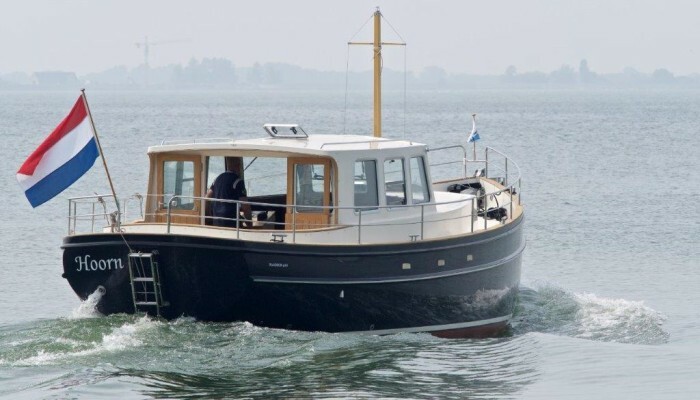 NAZ-Yachts says clients have a say in the choice of interior wood finishing, the engine power, the cabin layout and the technical installation. 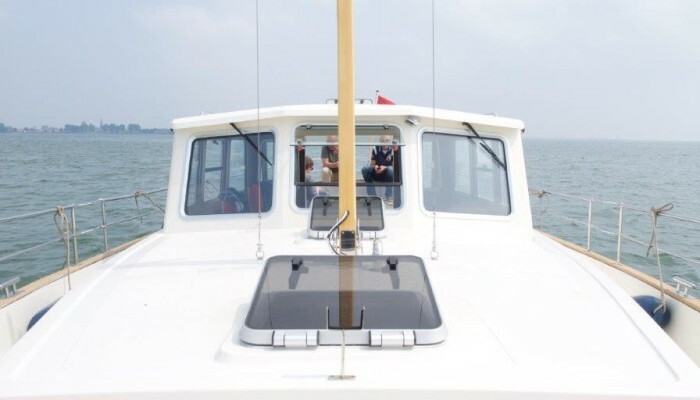 The yard guarantees a stem-to-stern inside clearance of 2 meters.